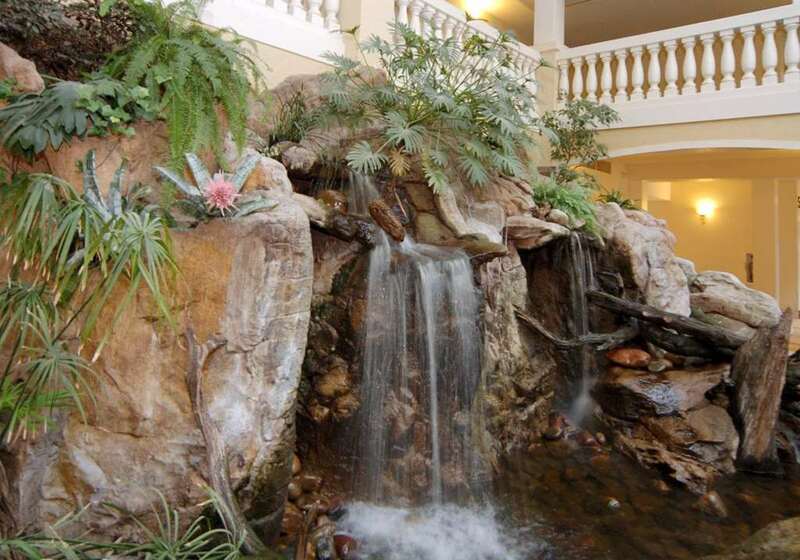 This hotel is 100PCT Non-Smoking Welcome to the newly renovated Embassy Suites Colorado Springs hotel conveniently located just minutes from the major businesses and corporate offices in the area as well as popular local attractions. Nearby is the United States Air Force Academy and the U.S. Olympic Training Center. Also in close proximity to the hotel are Pike*s Peak and its highway the famous International Hill Climb Event high tech corporations white water rafting rock climbing skiing horseback riding fishing jeep tours hiking trails and some of Colorado*s premier cycling. Totally transformed this Colorado Springs hotel recently completed a floor to ceiling renovation. The new atrium features modern decor and a sophisticated ambiance that*s warm and inviting. Our all-suite guest rooms also received a complete makeover. every suite received updated lighting furnishings flooring upgraded amenities plus new bedding and mattress systems. All of our two-room suites offer a living area separate from the bedroom to provide additional privacy plus two flat screen TVs. In the living area there*s a sofa bed offering extra sleeping space plus a microwave refrigerator coffeemaker and wet bar to make you feel at home. The completely reinvented onsite restaurant provides a true Colorado Springs dining experience. Guests enjoy our famous made-to-order breakfast and dinner with new culinary creations fusing the traditional and the new. The talented culinary team led by our very own Executive Chef features creative cuisine using only quality local fresh ingredients. Take advantage of room service while catching up on work or relaxing in your room. The daily complimentary reception provides beverages and small plate options while you unwind. The Margarita at Pine Creek: Comfortably contemporary cuisine in casual atmosphere. Salsa Brava: Fresh Mexican grill in casual and colorful setting.